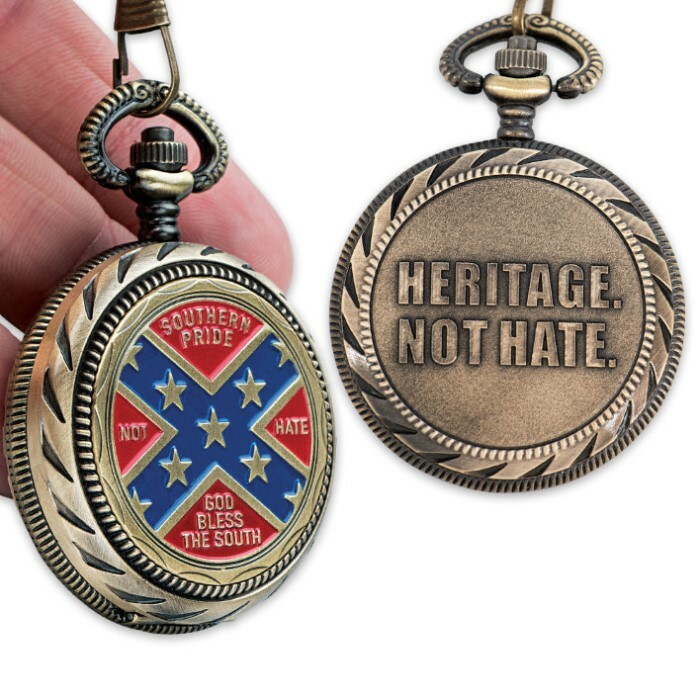 Heritage Not Hate Pocket Watch | BUDK.com - Knives & Swords At The Lowest Prices! Reach no further than this classic pocket watch to remind you of your Southern Heritage. 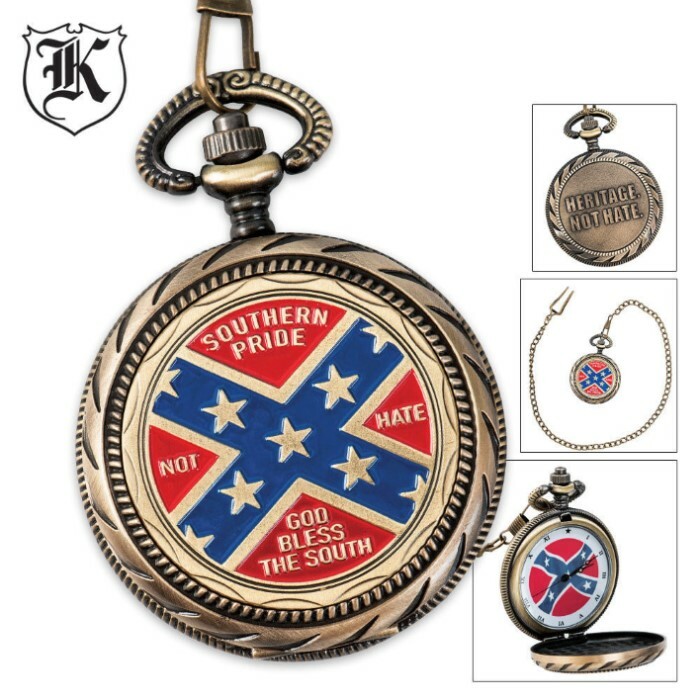 This handsome Heritage Not Hate Pocket Watch features full-color Southern Pride artwork that includes the words "God Bless the South." Good looking and solidly made.Highly recommended.